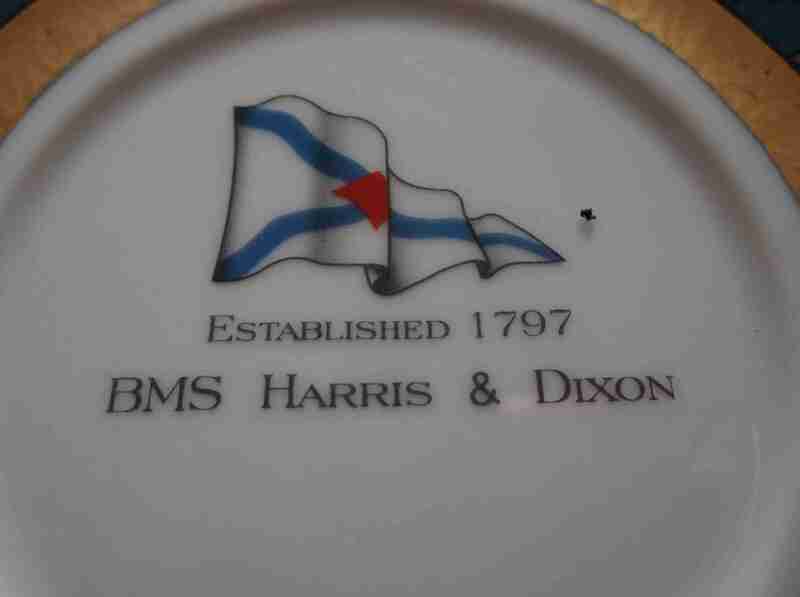 DESCRIPTION -- China cup and saucer from the BDS Harris and Dixon shipping company. Established since 1797 this item stands out from the rest by its beautiful design and would be a fantastic item to have on display. The item is in excellent condition and an unusual find (click on the saucer to see the markings on the saucer). DESCRIPTION -- Dating from the 1970's and in an unused condition this is a ceramic tile which shows on it a picture of a vessel and the company name and the size is 4" (10cm) square and still in the original packaging. 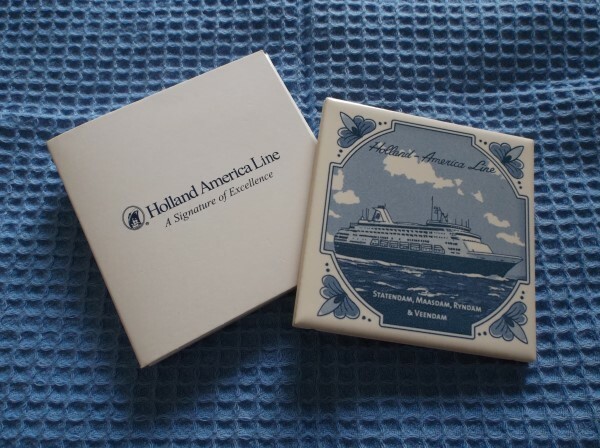 HISTORY -- Holland America Line is a British-American owned cruise line based in Seattle. It has been owned by Carnival Corporation & plc since 1989. From 1873 to 1989, it was a Dutch shipping line, a passenger line, a cargo line and a cruise line operating primarily between the Netherlands and North America. As part of this rich legacy, it was instrumental in the transport of many hundreds of thousands of immigrants from the Netherlands to North America. EARLY KEYRING SOUVENIR FROM THE D.F.D.S. SHIPPING COMPANY. 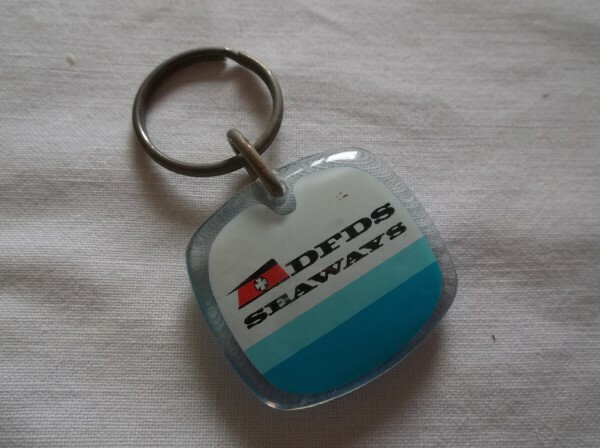 DESCRIPTION -- Early keyring souvenir from the shipping company DFDS Line which is in a very good condition and is original from the company and dates from the 1960's. HISTORY -- Det Forenede Dampskibs-Selskab was formed on 11 December 1866 as a merger of the three biggest Danish steamship companies under the leadership of Danish financier Carl Frederik Tietgen. Operations began on 1 January 1867 with 19 ships with Copenhagen as the main starting point. The company's routes at the time were from Denmark to Norway, the Baltic, Belgium, the United Kingdom, Iceland and The Faeroe Islands, with ships carrying both freight and passengers. As the company grew, new connections were opened to Sweden, France, the Mediterranean and Black Sea, as well as North America and South America. DESCRIPTION -- Rare to find item which is a matchbox from the Wallenius Lines shipping line. 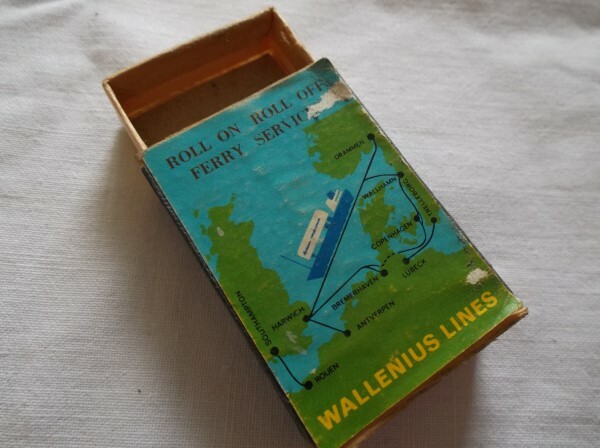 There are no matches in the matchbox but the item from the 'Roll on Roll off Ferry Service' in in a very good condition. HISTORY -- Wallenius Lines is a privately owned Swedish shipping company. The fleet consists of 40 vessels, specializing in transporting cars and trucks worldwide. The fleet is chartered and commercially operated by companies in which Wallenius Lines is a shareholder. The company was founded in 1934 by Olof Wallenius. DESCRIPTION -- This item is a fantastic as new and excellent condition souvenir spoon from the Swedish Lloyd shipping company and the vessel M/S Patricia. It shows at the top a picture of the ship and the vessel's name. The size is 5" (13.5cm) long (click on the picture to see a view of the top of the spoon). HISTORY -- Patricia was built in 1966 for Swedish Lloyd. She was one of three sisterships, the others being Swedish Lloyd's Saga, and Svea Lines' Svea, both of which later served with Minoan Lines. 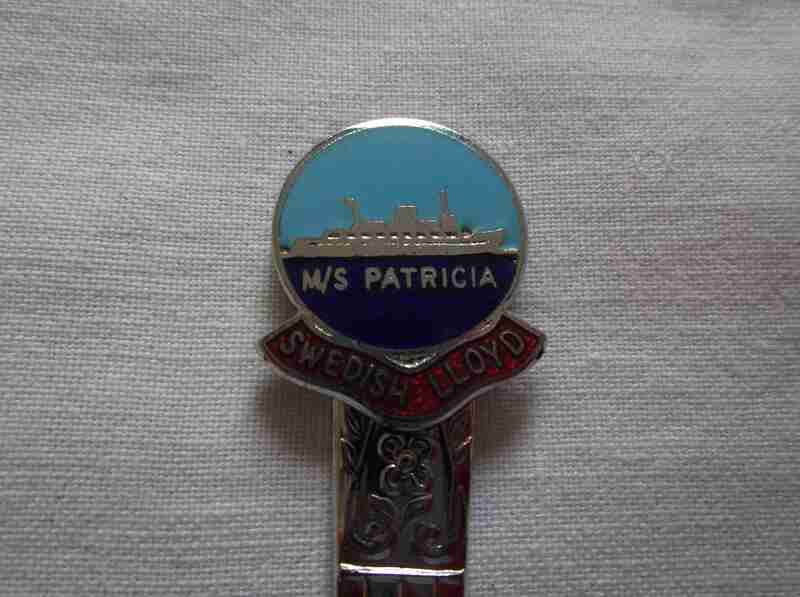 Patricia was used on the Swedish Lloyd Southampton-Bilbao service until 1978, when she was sold to Stena Line. DESCRIPTION -- Metal model of the vessel the United States which is in a great condition and the size is 10" (25cm) long. HISTORY -- SS United States is a luxury passenger liner built in 1952 for United States Lines designed to capture the trans-Atlantic speed record. Built at a cost of $78 million, the ship is the largest ocean liner constructed entirely in the US, the fastest ocean liner to cross the Atlantic in either direction, and even in her retirement retains the Blue Riband given to the passenger liner crossing the Atlantic Ocean in regular service with the record highest speed. DESCRIPTION -- Pair of souvenir Royal Worscester display dishes showing a maritim theme on each. They are presented in a presentation box and are in a fantastic condition. 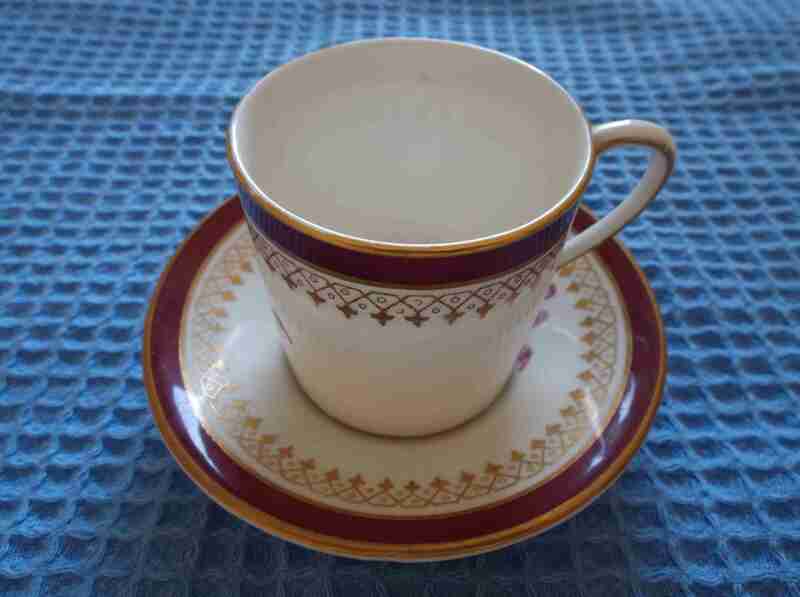 DESCRIPTION -- This is a nicely decorated maritime cup and saucer from unknown sources. The items are in a fantastic condition. DESCRIPTION -- From the vessel the SS American Courier from the United States Lines this is a china ashtray from the shipping company and is in an excellent condition and shows a picture of the vessel in the centre with the size of the item bwing 5" (13cm) wide and it is a rare find. HISTORY -- The United States Lines was a transatlantic shipping company that operated cargo services from 1921 to 1989, and ocean liners until 1969 - most famously, the SS United States. DESCRIPTION -- Souvenir spoon from the Rotterdam Lloyd Line shipping company and the vessel the Willem Ruys which is 4" (12cm) long and is in a very good condition and shows the name and picture of the vessel at the top of the spoon. HISTORY -- The company started life in 1839 as Willem Ruys, using sailing ships to trade with the Dutch East Indies and Far East. The company underwent a number of name changes: to Stoomboot Reederij "Rotterdamsche Lloyd" (Rotterdam Lloyd) in 1875, Stoomvaart Maatschappij Rotterdamsche Lloyd (Rotterdam Steam Navigation Co) in 1881 and in 1883 to N.V. Rotterdamsche Lloyd. In 1970 Rotterdam Lloyd merged with Royal Interocean Lines and VNSM to form Royal Nedlloyd.